Home » Critical Incident Stress Management » What is Critical Incident Stress? Critical Incident Stress is a normal reaction to an abnormal event(s) such as discovering a seriously injured subject who subsequently dies, finding a deceased person and then affecting a body recovery, death and recovery of a child, serious injuries to a subject(s) or a SAR volunteer, threat to your life, or a situation where the subject(s) are known to you or the team. The Critical Incident Stress response is involuntary and spontaneous; it can happen instantaneously or over time, because its your body’s way of protecting you to do your job as a responder. Upon exposure, the body instantly releases hormones and chemicals into the blood stream that help you cope with the situation at hand, and will continue to release those hormones and chemicals for the prolonged events until the SAR response is complete. Those hormones and chemicals are what cause the symptoms of Critical Incident Stress. They can overwhelm a person’s normal coping abilities due to their reaction to an intense or extreme event. As a SAR volunteer, you should be aware of how you and your fellow volunteers are handling critical incident stress. Each person will react differently to a critical incident. Anyone whose behaviour has changed should be approached and asked if they are having problems as a result of the incident. Some relief may occur simply by responders discussing their feelings frankly among themselves. 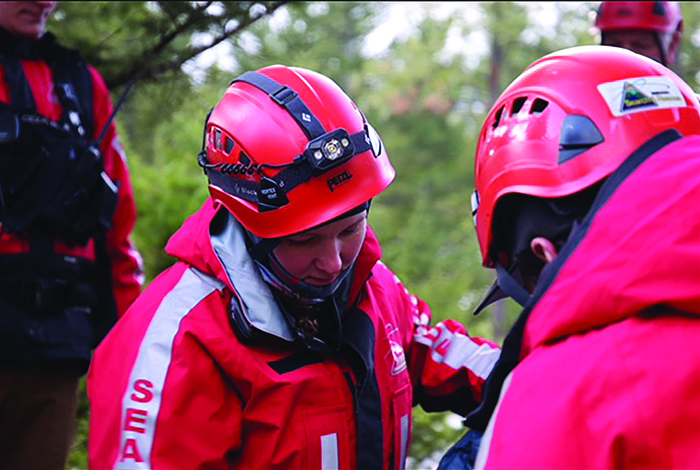 However, any SAR member who does not find this enough to resolve their issues, or who is not comfortable sharing their reactions with team mates, should not hesitate to ask for help through the CISM program. It should be recognized that members who were not present at the incident may also be affected. They may be experiencing problems because they were not able to help and now feel responsible for the outcome.